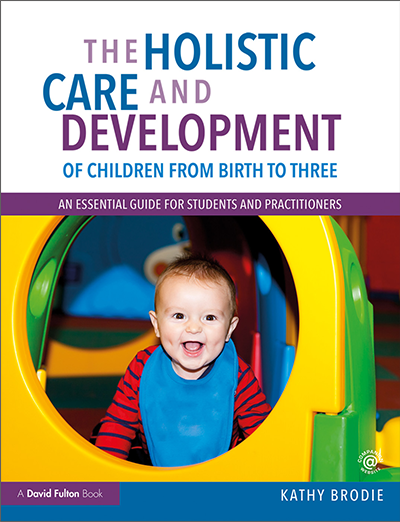 The Holistic Care and Development of Children from Birth to Three provides students and practitioners with the knowledge and understanding they need to meet the complex needs of babies and toddlers. With a focus on the fundamentally holistic nature of young children’s development, and emphasising the role of play, and the emotional and physical environment throughout, the book shows its reader how to maximise each and every opportunity for learning when caring for the under threes. The text addresses both theory and practice, foregrounding the vital link between the two as the reader learns how to integrate theoretical approaches into their own setting and ways of working. From personal, physical, social and emotional development, to cooperation with parents, SEN and enabling environments, a wealth of topics are discussed in the depth and detail required to ensure that children can be given the best possible start in their critical first three years. ‘Further Reading and Research’ suggestions inspire independent study in key areas. The book is also supported by a companion website featuring links to relevant videos and articles, as well as an interactive flashcard glossary.